This is where the FASHION happens! Jennie Garth, Christina Milian, Adrienne Bailon & More Attend Colgate Optic White Beauty Bar At The Selma House In LA. 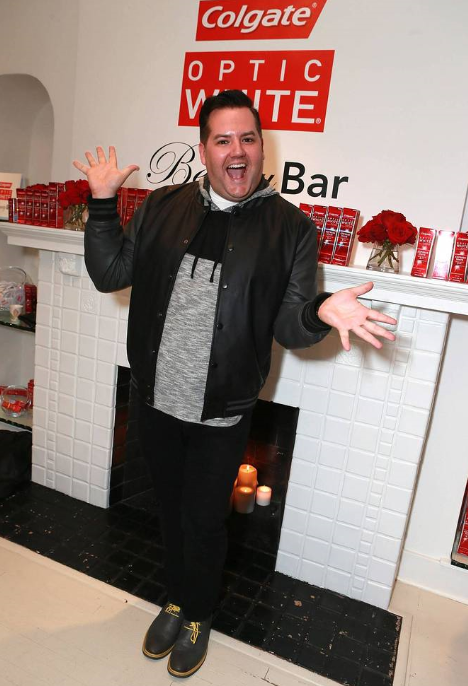 The Colgate Optic White Beauty Bar sponsored by Rowenta and Priv was held at the Selma House in LA on Friday January 9 and Saturday January 10. The 2-day event took place inside WeHo’s trendy Chateau Marmont in celebration of the Golden Globes. Guests were invited to come enjoy beauty services and cocktails as they prepped for this weekend’s parties. Priv, a beauty services app, was one of the sponsors providing services across the board from massages, to hair, make-up and nails. I enjoyed an express massage from Niall Carney, one of the massage therapists on scene before heading over to the make-up station where Chelsea Hillman got me golden globes ready with a sultry smokey eye and bronzed glow. Next up was hair at The Rowenta station where Kristen tousled my curls into a casual up-do. Brand manager of Rowenta, Kim Chaveco, shared with me that the leading household appliance company has made a deal with Lifetime’s hit show “Project Runway” to come out with Project Runway themed appliances to cater to every fashionista’s needs from garment steamers to irons. Kim walked me through the line of hair tools that Rowenta has created from their blow dryer to flat iron with built in curling iron, to name a few. Not only is Rowenta carried at all major department and convenience stores, but they have made a deal with Sephora and will be launching the sale of their hair tools line with the beauty chain later this summer. For some hydration, I visited the ladies at Rove. The mobile lifestyle brand was showcasing 2 of their products: an on-the go bottle where you can put the fruit of your choice to create spa water or a thermos that can keep your drink hot or cold up to 8 hours. I met with the COO of Naturade who gave me a taste of the Vegan protein shakes that comes in variety of flavors like chocolate and vanilla. Chloe’s Soft Serve Fruit Co. was handing out popsicles made with only 3 ingredients: “fruit, water, and a touch organic can sugar”. They had a handful of flavors and the light sugar boost seemed to be a hit with event go-ers on this LA rainy day. I had a chat with co-owner of Tuleste, Satu Greenburg, who shared that she started with company with sister, Celeste, and combined their names to form the jewelry company. The jewelry line had a colorful display of rings and bangles with a range of colors and sizes and girls thoroughly enjoyed picking out their free accessory. To showcase your hair, nails, and make-up done you could take your glam shots with the props of your choice at the GC Photo Booth where Scoot was more than happy to snap your pic. Guests were invited to use #brilliantstyle when posting party pics to their social media and left with a gift bag of goodies from Colgate Optic White, nail products and a $20 credit for services booked through the beauty app, Priv.